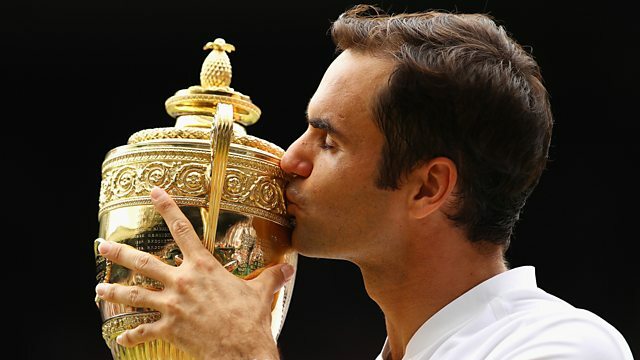 Former Wimbledon champion Pat Cash says Roger Federer is "the best grass-court player there is" after winning an historic eighth Wimbledon singles title. Federer extended his record to 19 Grand Slam titles with a 6-3 6-1 6-4 victory over Croatia's Marin Cilic. Cash said: "He's the best grass-court player there is, it's quite simply that. "Who is there to challenge him? Really? "He will definitely be back here, and who's to say he won't be the favourite when we turn around in 11 and a half months time." Federer is now the the oldest man in the Open Era to win at the All England Club. This clip is originally from 5 live Sport, 16 July 2017.